A Stranger Here Below (Skyhorse, March 2019) is the first in a historical mystery series set in the 1830s, featuring the young Pennsylvania Dutch sheriff Gideon Stoltz. Author Charles Fergus himself – like his protagonist Gideon – is haunted by having discovered the body of his own mother, the victim of a violent murder. Fergus, a seasoned writer about nature and the outdoors, has turned this trauma into a riveting mystery. 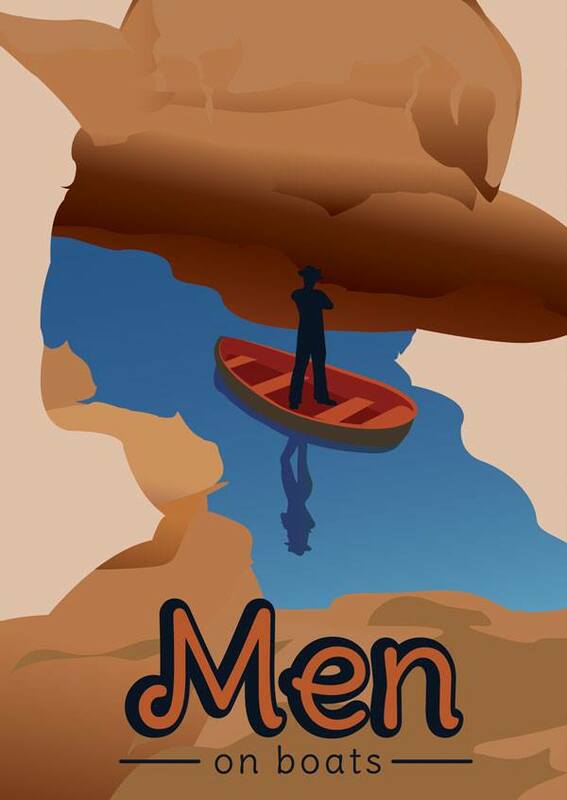 In 1835 in the Pennsylvania town of Adamant, newly appointed sheriff Gideon Stoltz faces his first real challenge when his mentor, the respected judge Hiram Biddle, commits suicide. Gideon is regarded with suspicion: he’s new to town, and Pennsylvania Dutch in the back-country Scotch-Irish settlement. And he found the judge’s body. As Gideon digs into the judge’s past, he realizes that the suicide was spurred by much more than the man’s despair. The quest soon takes him down a dangerous path into the town’s history. Our event will feature local shape-note singers and a knowledgeable speaker from the Centre County Historical Society, as shape-note singing and iron making in the region are powerful parts of the story. We’re so excited to host Charles Fergus for this book release celebration. 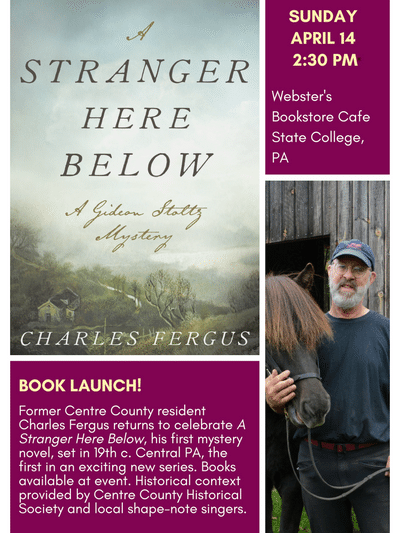 A long time resident of the region, Fergus is making a sort of homecoming to celebrate the release of the first of several mysteries set in our region of PA. This event will feature music, a presentation about iron making in our region from the Centre County Historical society and, of course, Charles Fergus will be joining us to read from and answer questions about this book. Books will be for sale before, during, and after the event. The author will sign copies at the event.